To meet our customer’s demand for unique pieces, Barr & Co has a fully equipped workshop on-site. The consultation area is a relaxing comfortable space where you can talk and sketch through ideas with our designers. Some people are concerned that a bespoke commission means a lot of money, but that is not always the case. The cost is relative to the materials used and detail involved in the workmanship; all of which can be adjusted to accommodate a budget. We can also accommodate all repairs on the premises. Customers can feel reassured that their cherished items are repaired on-site by a jeweller with over 20 years experience. 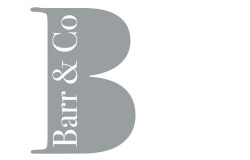 Other services which we offer here at Barr & Co are Valuations, complimentary ring cleaning service and jewellery remodelling. 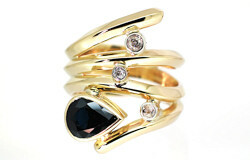 We also have a wide range of engagement and wedding rings which can be viewed at our gallery.